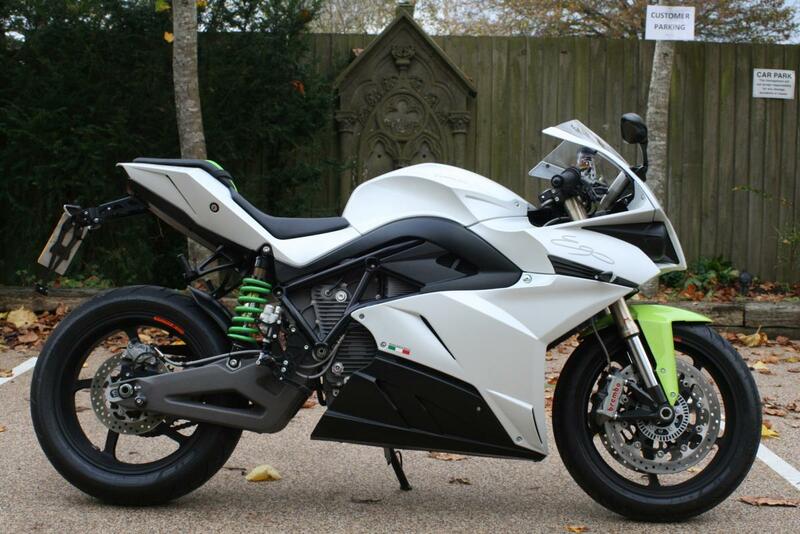 The Energica EGO. Designed and built by the same people who have designed and engineered racing performance from Formula One Racing to Le Mans 24h for over 40 years. The green heart of the electric motorcycle is a synchronous oil-cooled motor with permanent magnets. It has 100kW (136 hp c.ca) of instantaneous power reaching from 4900 rpm to 10500 rpm and a torque of 195 Nm ranging from 0 rpm to 4700 rpm. Energica Ego accelerates from 0 to 60 mph in 3 seconds to reach a top speed of 150 mph with a vigorous thrust that does not make you miss the drops in the engine speed by the constant shifting of the classic internal combustion engines – making the electric superbike faster than a 600 supersport. The bona fide brain of the Energica Ego is the sophisticated Vehicle Control Unit. Unlike other vehicles where the control units work separately on all controllers, the Ego’s battery, inverter, charger and ABS are constantly monitored and managed by one technological jewel: the VCU, completely designed and developed by Energica. The state-of-the-art VCU implements a multi-map adaptive energy, and a power management algorithm manages the electric motorcycle. Carefully monitoring and adjusting the motor’s power according to the throttle thrust 100 times per second while riding. Energica Ego does not have a gearbox or a clutch. Everything is regulated by the ride-by-wire system, allowing you to control the acceleration torque of the motor and deceleration based on the regenerative torque or engine braking. A coasting feature is provided thanks to a “neutral” position between acceleration and regeneration. Energica Ego is also equipped with a “PARK ASSISTANT” in order to facilitate parking and maneuvers on slopes or into rush traffic. The VCU limits both the speed and the torque of the vehicle. The PARK ASSISTANT works back and forth (reverse mode) with maximum speed 1.74 Miles/hour (mph) and maximum torque 50Nm. Energica Ego braking system is by Brembo and the ABS system is by Bosch. The latest generation ABS BOSCH on Energica Ego not only prevents the wheels from locking but is equipped with rear-wheel lift- up mitigation system that prevents overturn during emergency braking. The electric motorcycle Energica EGO has a digital dashboard from COBO TFT with an active matrix of 4.3 inches and color display. The connectivity for the electric motorcycle is supported by Bluetooth (short range) and UMTS long range technology (in progress, available by the end of 2016), allowing you to connect your vehicle to your smartphone, tablet or simply to your home computer via the Internet.